Can You Remortgage with CCJ? If you have found yourself struggling to repay your debts, your debtors may refer your account to a County Court Judge. They have the power to give you a County Court Judgement demanding payment of your account, either in full or in instalments over a set period. If you pay the full amount back before the deadline, you can avoid having the CCJ attached to your credit report. If not, the CCJ will remain on your credit report for six years. You will find it more difficult to secure credit during this period and may struggle to remortgage your property. However, it is not impossible to remortgage a property with a CCJ and it can be one way to gain control over your finances. Here are the things you need to know about remortgaging a property with a CCJ. Remortgaging a property can help you to get a better deal, lower your monthly repayments, increase your financial security or free up money to help pay back other debts. You might also want to remortgage to carry out home improvements in order to put the property on the market. In many cases, your first port of call to remortgage your property will be with your existing mortgage provider. If this lender rejects your application, don’t give up. There are plenty of mortgage lenders out there and many of them specialise in lending to individuals with poor credit including CCJs. Shop around and speak to a specialist mortgage provider before you make any decisions or give up. Many lenders will look at your credit report as a whole, not just focus on the CCJ. If the CCJ was for a small amount, then this will make a big difference to their decision. The rest of your payment history will also have a huge impact on the decision. For example, if your credit is otherwise very strong but you have a CCJ for £100 from four years ago, this will be different to someone with regular late payments and a recent CCJ for £5,000. 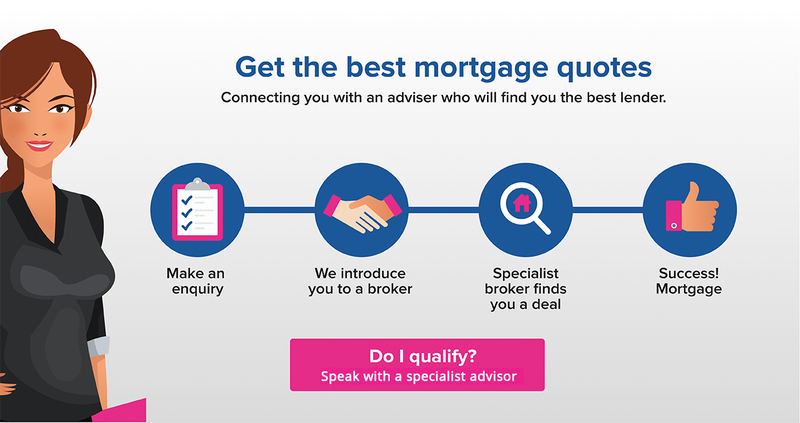 Speak to a specialist mortgage broker who will be able to advise you on the best way forward for your individual circumstances. In general, time heals most things on a credit report. Even if you have a CCJ on your record, make sure you focus on improving your credit. Ensure payments are made on time and try to avoid going over 50% of your credit limit. This will give lenders some confidence that you are not a high-risk lender. If you would prefer to wait, you can leave your remortgage application until after the CCJ has been completed. All CCJs will stay on your file for 6 years. After this time, you can focus on rebuilding your credit score and then put the CCJ behind you. Once a CCJ is completed, make sure that it is promptly removed from your credit report. After this, you can apply for credit with confidence knowing that there will be no trace of the CCJ. Get help with a remortgage. Speak to a advisor who can find the best lender that suits your situation.